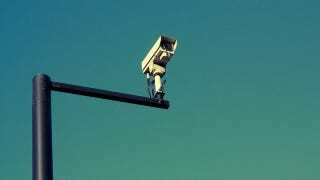 A federal judge has estimated that at least 30,000 secret electronic surveillance orders are made every year in the US, and those who are found to be innocent will probably never know that they've been the target of such snooping. Ars Technica reports that US Magistrate Judge Stephen Smith has written up his estimates in a paper called "Gagged, Sealed & Delivered". While phsyical searches require a warrant, many digital searches—to, say, access stored e-mail, wiretap an Internet connection, or to track a cell phone—are kept secret. Judge Smith explains that the total of 30,000 secret surveillance orders "is greater than the combined yearly total of all antitrust, employment discrimination, environmental, copyright, patent, trademark, and securities cases filed in federal court." So, umm, that's quite a lot then. While Smith isn't after anything as radical as banning such secret surveillance, he does feel there should be a little more transparency in the process, as it "would enable meaningful oversight not only by appellate courts but also by Congress and the general public." That probably requires some subtle policy tweaks—or, better, a major overhaul of the Electronic Communications Privacy Act (ECPA) of 1986.